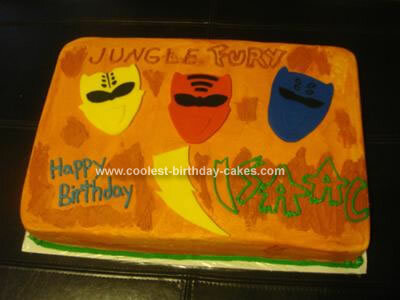 I had a really hard time finding ideas for a Power Rangers Cake that a customer ordered. There are so many different types of Power Rangers and since she wanted a specific one I had to make it to match that. So, given the issues I had I wanted to post one so others could find it. It is a two-layer half sheet cake with buttercream icing. The Power Rangers and lightening bolts are fondant, I made them free hand.